At times, I find the world of 2018 terribly destabilizing and cold. I live in the middle of an insular community, so the percentage of people who will respond to “Good morning,” a smile, and eye contact, is small. I understand the reasons: I am not of the tribe (and there are many tribes from which one might be excluded); I am not known; I am male; I might very well say something inappropriate after that salutation. “Don’t talk to strangers!” is still strong. But I think in this world, full of sharp edges, we might do worse than smile at people we don’t know. The essential soundtrack is a song that used to be familiar and easy: Chris Tyle says that he used to play it as the first tune on a gig: that shows characteristic good taste. It is, on the surface, a love song — your love shows through in the way you smile at me — but it is also a song about the possibility of a love that is less specific, more embracing. That might save us. There are many versions of SMILES on YouTube — pretty and respectful performances from 1918, with the verse, to more recent ones by swing / New Orleans bands. But the latter are too speedy for me, as if the bands are trying to show how well and hot they play by increasing the tempo. As a smile might grow gradually and naturally, this song — to me — needs to be played at a singable tempo, to let the feeling emerge as it would in a real encounter. I am happy that I can share the version that has stayed with me for thirty-plus years, one of John Hammond’s best but unheralded ideas, of merging “pop” vocalists Eddy Howard and Chick Bullock with superb small bands. Once it was fashionable to sneer at Chick as dull and overly earnest. Yes, he can sound like Uncle Charles deciding to sing, but he is much more subtle than that, and his homemade quality is eminently appealing on material like this. Without doing too much, he sounds as if he believes the lyrics and he believes in the song, and his gentle affectionate conviction is warming. Here, on December 6, 1940, he was accompanied by Bill Coleman, trumpet; Benny Morton, trombone; Edmond Hall, clarinet; Bud Freeman, tenor saxophone; Teddy Wilson, piano; Eddie Gibbs, guitar; Billy Taylor, Sr., string bass; Yank Porter, drums. With the exception of Freeman, so inspired here, this was one version of the band Wilson led at Cafe Society Downtown. I’ve always listened to this record several times, once for Chick, once for the band, and more. How much music they fit into this 78 through split choruses and obbligati! I hope this music inspires some readers to smile in general, and to try this radically humane act in the larger world. The worst thing that can happen is that one might be greeted with an emotionless stare or suspicion, but I’ve found that there are kindred souls in the universe who will — even shyly — make eye contact. Such connections might be all we have, and they are worth cherishing. 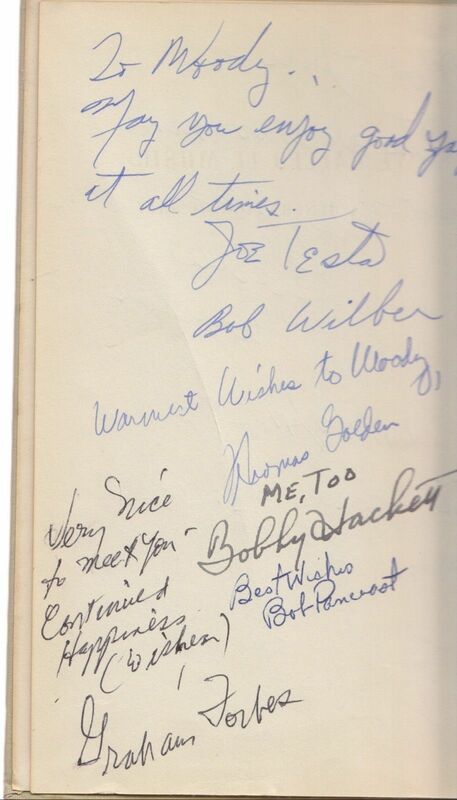 Some famous names: ME TOO, Bobby Hackett; Bob Wilber; pianist Graham Forbes. Who was Thomas Golden? Bob Pancrost? 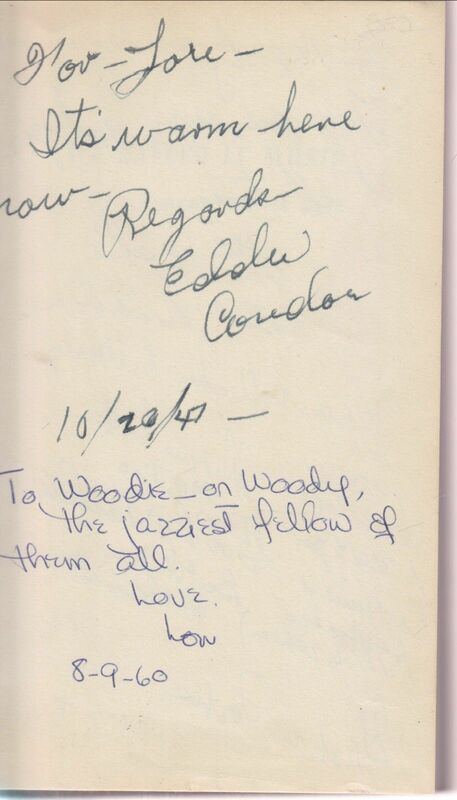 The pages that follow aren’t at all mysterious: an Eddie Condon Town Hall concert program from December 5, 1942. But in me they awake such longing. Why can’t I hear this band or these bands? Jam session ecstasies, anyone? Thanks to jazz scholar Franz Hoffmann, who has just started sharing his incredible treasures on YouTube . . . here are three recordings from an incredible jam session that concluded a Carnegie Hall concert that utilized the talents of musicians playing and singing at Cafe Society. I first heard the latter two performances perhaps twenty-five years ago on cassette from another collector . . . they were perilously hush-hush and not to be distributed to others. Now all can be revealed and shared, to our hearts’ content. In the interests of accuracy, I have to point out that the visuals provided — the “silent”films — do not match up with the music, and in one case I believe altoist Tab Smith is soloing while tenorist Don Byas is onscreen. But such things are infinitesmal when compared to the glory of the music . . . even when it seems as though everyone on stage is wailing away at once. A few weeks ago, a young couple came to my apartment to buy a piece of furniture I’d hardly used. (Now there’s more space for dancing.) The young woman earnestly asked me about turntables — thinking of being able to play her mother’s beloved 1970 record collection. I showed her both a modern one (and played her a track from a Marty Grosz Stomp Off record, which absolutely floored her with its bounce and warm sound). Then I decided to become a true eccentric, a genuine suburban antiquarian and descended even deeper into history by playing her a 78 (Keynote, J.C. Heard, ALL MY LIFE) on another turntable. I don’t think this was a transformational experience for her (and her boyfriend was pleasantly impassive through the whole thing) but it was clear she had never seen anything like it. “How do you know where to put that thing [the stylus]?” “What happens when it comes to the end?” “Is that sound [the surface noise] part of the thing, the record?” “Does that have only one song?” And so on. I don’t want to rehearse the discussion of iPod and MP3 downloads / compact discs / vinyl records / 78s / live performance — too many acres to plow! — but I did revert to my childhood in two sweetly nostalgic acts this morning. One, I played a 78 record — LOW DOWN DIRTY SHAME / SOLITUDE (Vocalion 5531, rim chip, V) by Joe Sullivan and his Cafe Society Orchestra. Lovely. Two, I stared at the revolving disc and the diminishing circles described by the needle as the music came out of the speaker. And I thought, not for the first time, of the beautiful paradoxes. When the needle is lowered into the first groove, listeners enter into that musical world — new or familiar. All experience lies before us, all possibility! (Jack Purvis might explode in the last chorus.) But we are always conscious of the finite limits of that world. Listening to a live performance, we can tell when the band is near the end — although there always might be two more choruses! A record, a disc lying on the platter, is visually bounded — its beginning and end marked out for us to see. Everything comes to an end, we know. But with records we have the wonderful opportunity to pick up the needle from its mindless elliptical orbits in the run-off groove and have the experience again. Imagine being able to eat another meal in the same restaurant without monotony, without satiety. It’s not the first kiss repeated, of course. But second and third kisses are seriously pleasurable, too. Mildred Rinker was born one hundred and ten years ago today in Tekoa, Washington. Her mother, Josephine Lee Rinker, was an enrolled member of the Coeur d’Alene Indian Tribe. Mildred’s early childhood was spent on the family’s tribal allotment near DeSmet, Idaho, where she spent many happy hours riding her pony, Buck. The Rinker family moved to Spokane’s North Central neighborhood when Mildred was thirteen, and she graduated from St. Joseph’s School. Mildred and her younger brother Al spent many happy hours singing and playing piano under the instruction of their mother, an excellent pianist who could play both classical and ragtime music. Shortly after her mother’s death from tuberculosis in 1917, Mildred moved to Seattle and found work singing from sheet music at a local music store. Her career path led her throughout the Pacific Northwest and Western Canada, eventually settling in Los Angeles, where she joined the Paul Whiteman Orchestra and became the first full-time female big band singer in America. Mildred Bailey’s groundbreaking achievement opened the door of opportunity for later jazz greats including Billie Holiday, Helen Ward, and Ella Fitzgerald. Mildred Bailey’s earliest recordings were made in 1929, and she recorded nearly three hundred songs over the years, several of which became best-sellers. Mildred had her own radio show in the 1940s, and was voted either first or second most popular female jazz vocalist in the first three annual Esquire Magazine jazz polls. 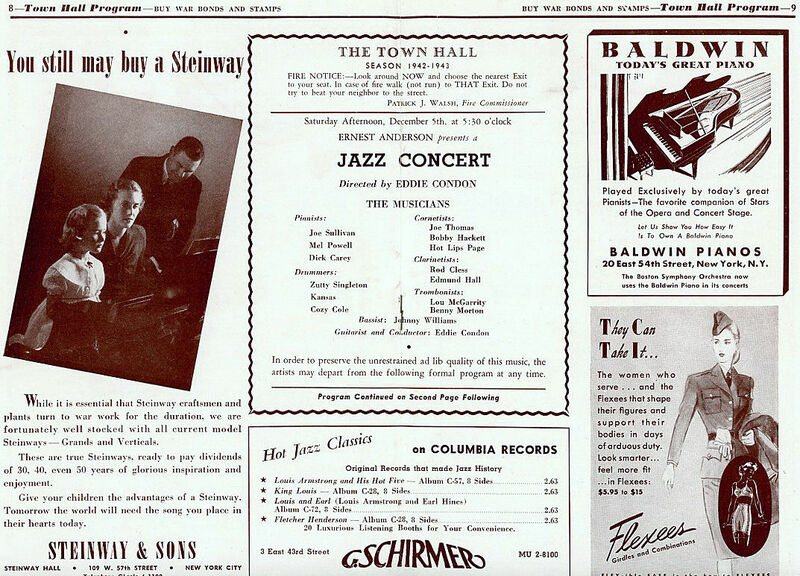 The most famous artists from the swing era recorded and performed with Mildred, including Benny Goodman, Art Tatum, Mary Lou Williams, Coleman Hawkins, the Dorsey brothers, and Artie Shaw. In 1944, Time magazine reviewed her show at the Café Society in New York and called her “just about the greatest songbird in the U.S.” Mildred and her husband, pioneer xylophone and vibes great Red Norvo were known as “Mr. and Mrs. Swing” during this phase of her career. Thank you, Mildred, for the trail you blazed and the beautiful songs you left behind. You demonstrated that a little girl from an Idaho Indian reservation can dream big dreams, and make those dreams come true. We’ll never forget you. Thanks for the memory! (For those of you who haven’t heard of Julia Keefe, I promise that you will. 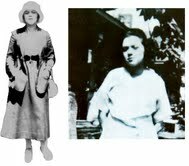 She’s more than an articulate Mildred Bailey fan; more than a diligent researcher — who provided these pictures of a seventeen-year old Mildred about to leave Spokane for the big time (the pictures came from Mildred’s niece, Julia Rinker Miller, whose father was Al Rinker) . . . she’s also a 20-year old jazz singer with a future. She reveres Mildred and sings some of her songs, but Julia is wise enough to know that imitation is both impossible and no one’s idea of flattery. More from and about her in future!) And Julia went to the same Spokane high school, Gonzaga Prep, as that fellow Crosby . . . it’s a small world after all.